Results: We may not know exactly how our great grandchildren will get to work each morning, but compared to today, integrated modeling science projects their commute may be much more energy-efficient and environmentally friendly. According to a modeling study by scientists at Pacific Northwest National Laboratory, emerging automotive technologies factored with future energy supplies, climate change mitigation policy and hundreds of other variables, point to a continued prominent role for passenger vehicle use long into the future. However, the energy consumed and the product of the tailpipe, if there is a tailpipe at all, are likely to be altogether different. Published in the May 2011 edition of the journal Energy Policy, this research examines how a societal shift to alternative power sources can lower greenhouse emissions, independent of future climate policies, such as carbon pricing. Why it matters: Globally, transportation accounts for 23 percent of all carbon dioxide emissions, and demand for transport is forecast to grow over the coming decades as populations grow. In the developing world, rising standards of living will prompt a shift from comparatively low-emission public transport to automobiles—a sector almost entirely dependent on gasoline or diesel fuel. Looking into the future, a combination of vehicle technology, alternative power sources, and public policy will determine the transportation sector's impact on energy use and greenhouse gas emissions. No matter how we travel in the future, it will likely be a society in which alternative power and advanced automotive technologies significantly reduce energy consumption and greenhouse gas emissions. Methods: Researchers used PNNL's Global Change Assessment Model, a fully integrated system model with technological detail at both the end-use and in the energy production and transformation sectors. 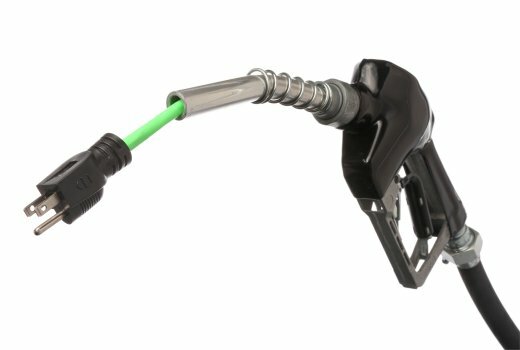 Five vehicle technology scenarios were examined: A reference internal combustion engine vehicle scenario, an advanced internal combustion engine vehicle scenario, and three alternative fuel vehicle scenarios in which automobiles are switched to natural gas, electricity, or hydrogen by 2050. For each, they analyzed a range of possible futures. "This study shows that the benefits of emerging technology and changing fuel are so strong that you don't necessarily need climate change mitigation policy to realize significant reductions in energy use and greenhouse emissions," explained Page Kyle, an integrated modeling and energy scientist at PNNL's Joint Global Change Research Institute at the University of Maryland. "However, the benefits are much greater when those policies are included." What's next: Researchers will broaden the study by integrating a more comprehensive model of consumer choice, providing a more accurate analysis of what might happen in the future. They will also factor in other segments of transportation into their models, specifically freight, which today represents about 40 percent of transportation-related carbon dioxide emissions globally. Acknowledgments: This work was supported by the U.S. Department of Energy Office of Science, the Electric Power Research Institute, and other sponsors of the Pacific Northwest National Laboratory's Global Energy Technology Strategy Program. Reference: Kyle, P and SH Kim. 2011. "Long-term implications of alternative light-duty vehicle technologies for global greenhouse gas emissions and primary energy demands," Energy Policy, 39(5):3012-3024. DOI:10.1016/j.enpol.2011.03.016.